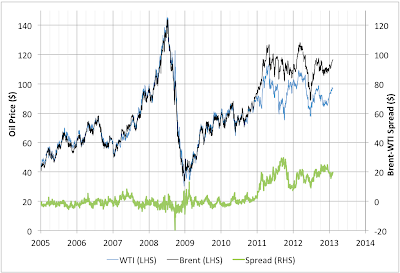 Brent prices have been in and around the $100-$120/barrel band since the beginning of 2011. For the last few months they've been rising and are currently somewhat above the 2011-2013 average. 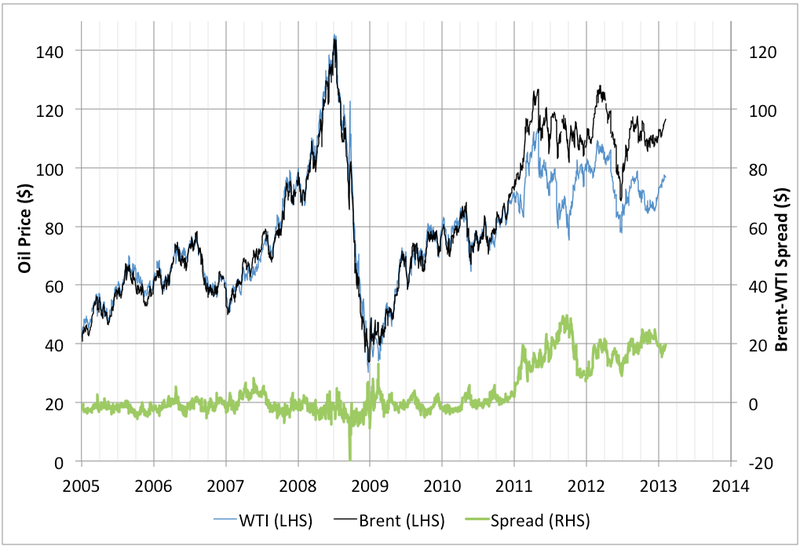 If the supply flatness of 2012 continues, I'd expect them to climb quite a bit more. However, it's not clear to me whether that supply flatness will continue. A topic for future posts, I suppose.